The Stoneham Transportation Advisory Committee works to improve transport in and out of Stoneham and Stoneham Square. STAC released the findings of its 2016 survey on Stoneham T usage. Many Stoneham workers rely on the T to get to work. 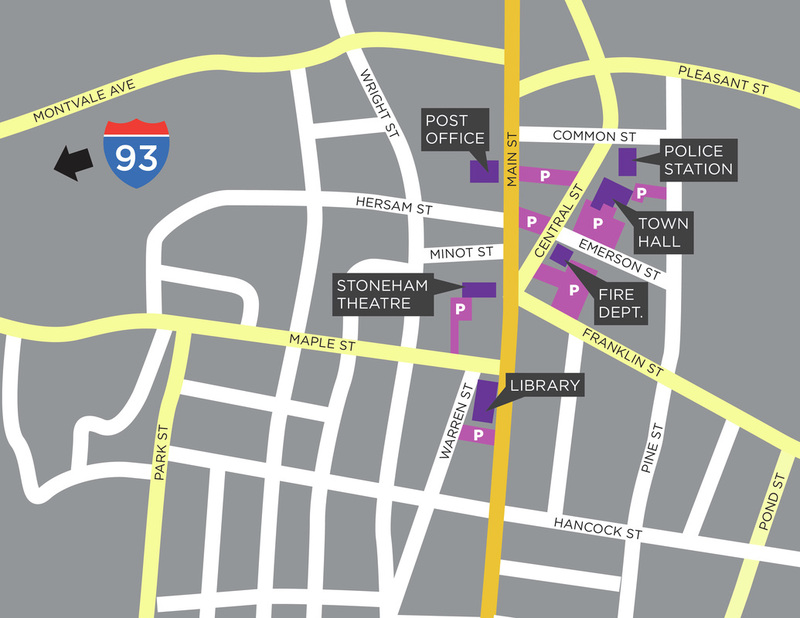 Transit: Expand and promote public transportation to and from Stoneham. Mobility: Provide opportunities for all people from Stoneham to access public transportation and other means of mobility. ​Complete Streets: Assess the feasibility of planning and implementing Complete Streets policies. One outcome of the Transportation forum sponsored by Stoneham's State Rep. Mike Day was serious consideration of the extension of the Route 132 bus hours. After continued work by our legislators, STAC and the town, the MBTA has agreed to extend weekday operating hours on the 132 Route to 11 pm., starting March 21, 2016. We are still working on other improvements, such as a stop at the Stone Zoo and expansion of service to the Montvale area for seniors with medical appointments. Complete Streets are streets for everyone. They are designed and operated to enable safe access for all users, including pedestrians, bicyclists, motorists and transit riders of all ages and abilities. Complete Streets make it easy to cross the street, walk to shops, and bicycle to work. They should work for all, not just cars. The STAC is investigating which intersections and street areas in Stoneham are the most dangerous, both for pedestrian and vehicle crashes. The information will be used for planning which intersections to address first to make them safer. These are almost all intersections off of Main, such as at William, Elm, North Street and South Street. There is an effort underway to add bicycle parking in Stoneham. Please pick your top five areas where you would like to see bicycle parking available. There will be bike racks in more than five areas, but the top vote getters will be used to set priorities. Thanks!